This month NI-CO, in partnership with the Ministry of Justice, were delighted to host a delegation from Montenegro to the UK. The visit was organised under the auspices of a €3 Million EU funded project, ‘Support to the Rule of Law in Montenegro’ which NI-CO has been delivering in Montenegro since 2013. Aiming to strengthen the independence, efficiency and accountability of the judiciary and the fight against corruption, the project will help Montenegro comply with Chapters 23 and 24 of the Acquis Communautaire as it embarks upon the road to EU Accession. 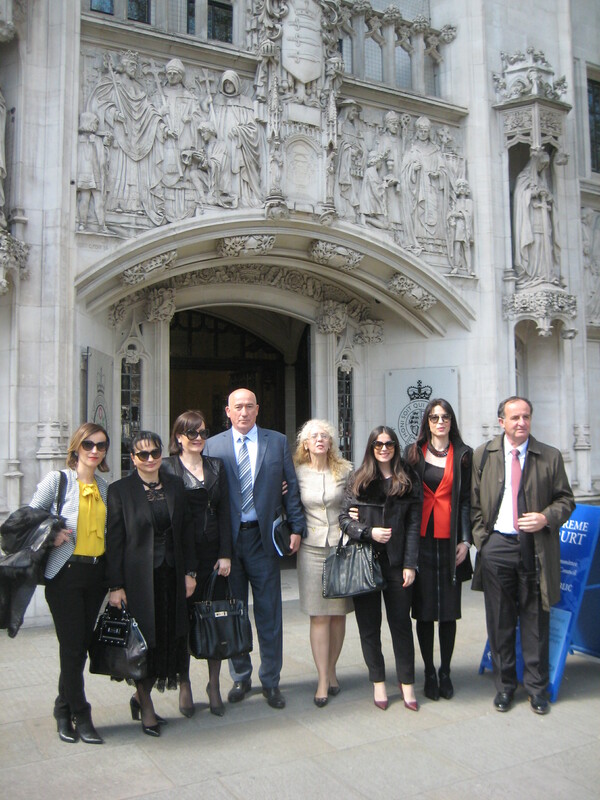 The Montenegrin delegation comprised senior representatives from the Ministry of Justice, Supreme Court, Judicial Council and the Supreme State Prosecutor’s Office in Podgorica and attended a number of high level meetings with judges and officials at the Supreme Court, Foreign Office, Ministry of Justice, and Crown Prosecution Service in London. Visits were also made to a variety of courts including the Rolls Building, Supreme Court, Royal Courts of Justice and Crown courts. Building on the success of the first two years of the project, the itinerary was designed to introduce the group to the importance of oversight mechanisms such as the Judicial Conduct Investigations Office and Her Majesty’s Crown Prosecution Service Inspectorate in the fight against corruption. Lessons were also shared on the independence of the judiciary, policy reform and transformation in the Ministry of Justice, and the efficient management of the courts service and case management through effective resource allocation and digitisation. The delegation also learned about the importance of developing strong leadership and management skills across the justice sector in the UK in delivering the reform agenda. NI-CO is looking forward to working with Montenegro on the remainder of the current project and to future collaboration. The project aims to enhance progress towards the development and establishment of effective and efficient national and regional Sanitary and Phytosanitary (SPS) regimes to overcome the challenges of fragmentation across Ministries/Agencies responsible for AHFS services and compliance with international Sanitary and Phytosanitary (SPS) Measures.